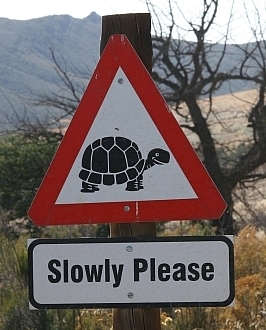 Take the N1 (watch out for speed traps outside the Tunnel and after De Doorns) past Worcester, through the Hex River Valley, past De Doorns and up Hex River Pass. Then take the R318 right, towards Montagu. Follow the R318 for ± 40km. Below Rooihoogte Pass, just after a bridge in the bend, turn right at the SIMONSKLOOF sign onto the gravel road*. 2km later turn right again at the “Simonskloof 8 km” sign. From here follow our little brown signs, with the Simonskloof logo, all the way straight to our gate. After entering Montagu on the R62 / Long Street. Turn into Cross Street, the last one on the left when coming from Ashton, or the first one the right when coming from Barrydale. 300m later in a big bend, at the SIMONSKLOOF sign turn left onto the gravel road*. 2km later turn right at the “Simonskloof 8 km” sign. From here follow our little brown signs, with the Simonskloof logo, all the way straight to our gate. *Please drive SLOWLY and with care on the gravel road. After heavy rains the last 6 km of gravel can be slippery or bumpy. Ordinary Cars will be fine, No need for a 4×4 or high rise vehicle. On arrival please visit Reception first – We like to meet all our visitors, You are important! To be safe simply enter “Simonskloof” in your GPS apps, that should find it spot on! Our phone: 023 614 1895 in case you are lost or “late”. Image copyright and courtesy of Google Maps.